PALMDALE – The Palmdale City Library, located at 700 E. Palmdale Blvd., will host a tournament for the game Super Mario Kart for the Super Nintendo on Monday, Oct. 21 at 4 pm. 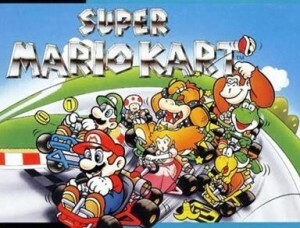 Super Mario Kart for the Super Nintendo is a classic kart-racing game released in 1992 that founded a chain of sequels over the next 20 years. It is considered by many to be one of the best racing games of all time. Entry is free. Snacks and drinks will be available, and prizes will be given to the winners. For more information, call the Palmdale City Library at 661/-67-5600 or or visit www.cityofpalmdale.org/library.